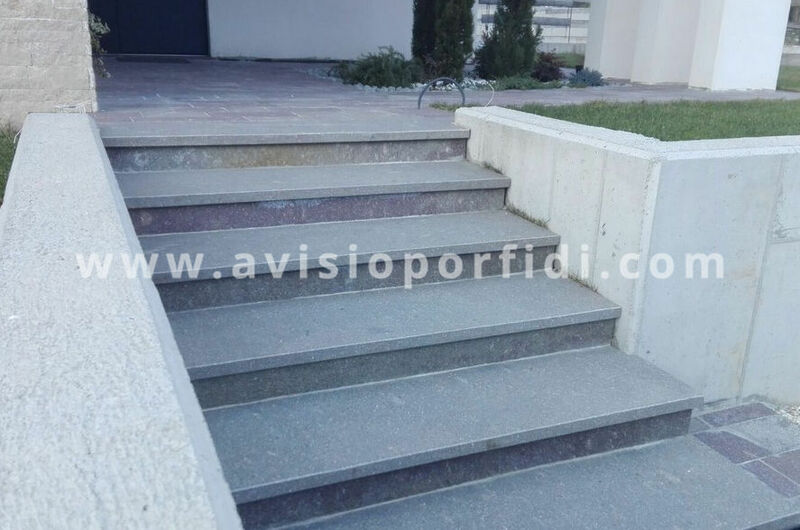 Porphyry step covering / non-slip / high-resistance - Avisio Porfidi S.r.l. 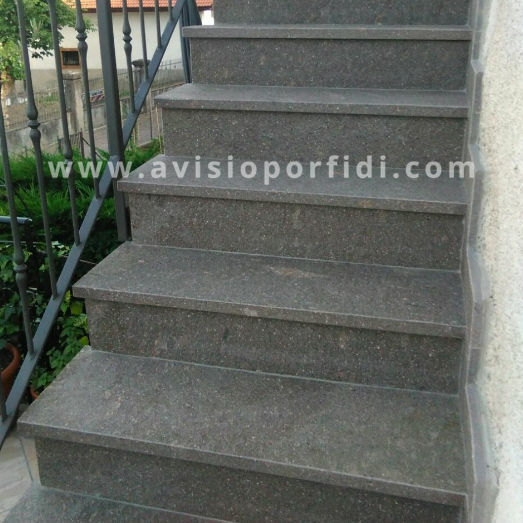 Interior & Exterior fittings > Staircase, Elevator > Non-slip step covering > Avisio Porfidi S.r.l. 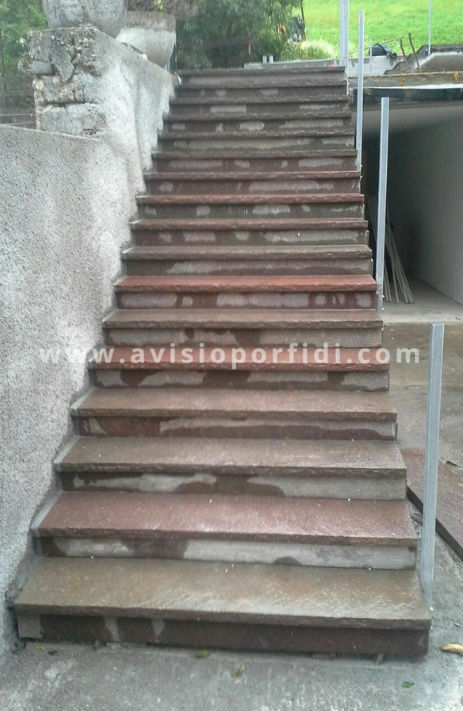 Porphyry stairs consist of two main parts: the horizontal steps or treads, which are the parts subject to wear, and the risers, which face the vertical part of the stair.StepsPorphyry steps are obtained from large slabs. 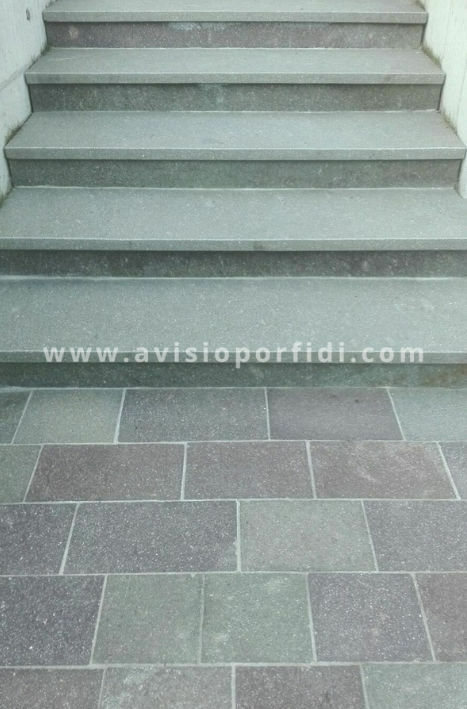 They are special stone pieces, which can also be customized in shape and colour.There are various types of processing:- NATURAL FACE STEPS: the steps are used to cover stairs both indoors and outdoors. The stone pieces are produced to size and can be both of random length, or fixed length, or subdivided to allow a staggered layout. Such steps have mixed colours. The exposed edges are calibrated over the first 5/6 cm.On request, and thanks to the new technologies, we can supply porphyry steps with natural face and calibrated over the entire width.- STEPS WITH FLAMED FACE: differing from natural face steps, flamed steps have constant thickness over the entire width. This allows mastic laying. The colouring is a fairly constant grey/brown.- MASSIVE OR BLOCK STEPS: these steps are produced as single blocks of great visual impact, with thickness from 10 to 20 cm.